As 2011 comes to a close Cage Titans has so much to be thankful for; 4 successful shows, new sponsorships and countless fans to name a few things. As a way of saying thank you we would like to give back to the community. Cage Titans FC has worked with several charities this year including Pancreatic Cancer Action Network and Travis Roy Foundation. This holiday season we are working with the Plymouth Area Coalition, we have “adopted” a family with three children. We have received a wish list from each child and are hoping to be able to fulfill all of those wishes. 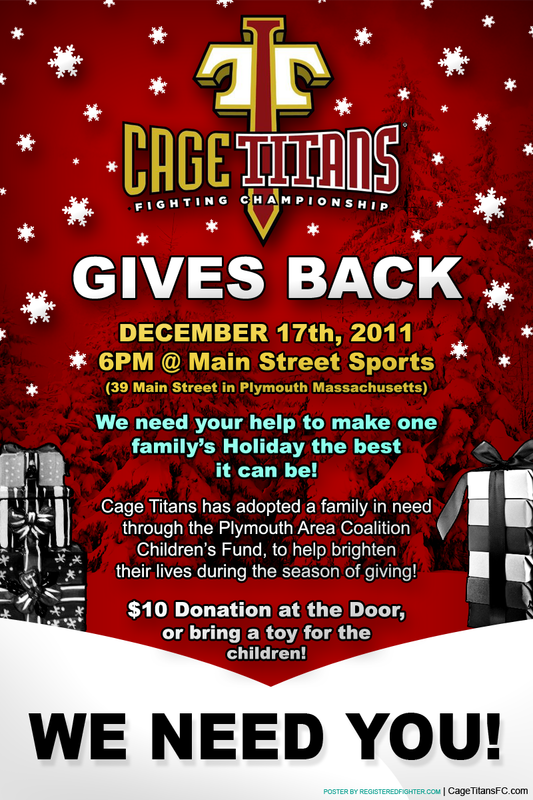 We are holding “Cage Titans Gives Back” event on December 17 at Main Street Sports www.mainstsportsbarandgrill.com at 39 Main Street Plymouth MA at 6pm. Cage Titans has adopted a family of three children through The Plymouth Area Coalition Children’s Fund (PACCF). Our goal is to raise money and collect toys for the family. Any surplus of toys or funding will be donated to PACCF to be distributed to other families. 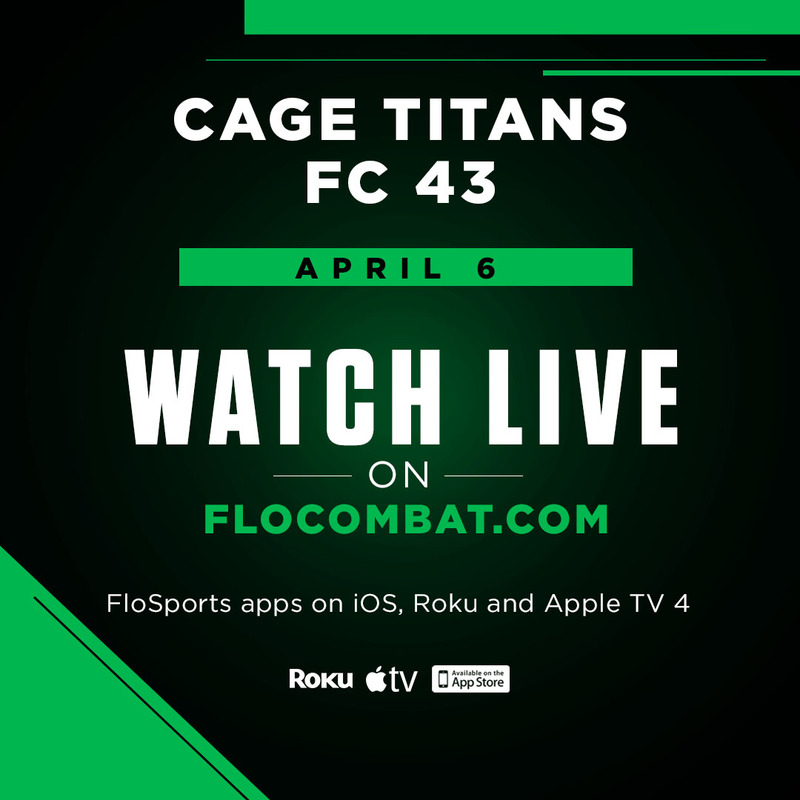 This evening will include raffles, door prizes, free appetizer, drink specials available purchase as well as Cage Titans Ring Girl and Bar Goddess photo opportunities, and a chance to meet some local MMA and UFC stars.
. We are asking all guests to make either a $10.00 donation or to bring an unwrapped children’s toy. We are still at this time looking for raffle items and door prizes, while we have had many generous donations we are hoping to get even more to raise as much money as possible for The PACCF. We also have collection boxes set up until the event at CCFA, South Shore Sports Fighting, Main Street Sports Bar and Shear Creations in Plymouth so if people are unable to attend gifts can be dropped off ahead of time. We would like to thank you again for your support in 2011 and look forward to working with you in 2012. Please contact Brandie at 781 630 3383 brandie@cagetitansfc.com or if you are able to donate or have any questions. Donations can also be sent to Cage Titans c/o Brandie Light 1442 Hanover Street Hanover Ma 02339. Cage Titans wishes you and yours a very happy and healthy Holiday Season.